You may have arisen this morning to headlines that Kory Langhofer, an Arizona based lawyer for Donald Trump’s 2016-17 presidential transition team, has accused Special Prosecutor Robert Mueller of “unlawfully obtaining tens of thousands of private emails during its investigation into Russian meddling in last year’s presidential election.” You also may have arisen to scores if not hundreds of social media conservatives up and down your timelines expressing yet their latest indignation that Mueller, a Republican who said conservatives have decided to deem “a Democrat,” is on a “Democratic witch-hunt” to discredit the Trump administration. For those who have neither the time nor the desire to read Langhofer’s seven page missive, I have read it twice and shake my head at the sophistry therein that suggests wrongdoing by Mueller. Langhofer argues that per the Presidential Transition Act of 1963, that transition teams are private concerns–not federal agencies–and that, 1. They should be free from Freedom of Information Act requests and, 2. That documents and emails produced by said teams are private and privileged. Langhofer is partially right, and partially wrong. Right in that the Transition Act does promulgate the creation of non-profits that exist to conduct the business of shifting a private citizen president-elect to the presidency upon inauguration. But these private concerns are not private in the way that a corporate entity, be it for profit or non-profit, is concerned because the federal government partners with these teams. The federal General Services Administration (GSA) provides office space and equipment (including table and laptop computers), and upon the conclusion of a transition team’s business, the GSA serves as the records custodians for all business that was transacted. As such, the Trump transition team, as has each of its predecessors since 1963, was in a public-private partnership and held nor holds any reasonable expectation of absolute privacy. Langhofer is way off base when he suggests that Mueller has obtained emails in a surreptitious or otherwise illegal manner. Indeed, nothing could be further from the truth in that within his own lengthy letter, Langhofer establishes that Mueller, through the FBI, sent two letters to the GSA asking that emails from the transition team be turned over to his investigators per the Russian collusion probe. Further, Langhofer tries to manufacture controversy, or fake news, by suggesting that the letters from Mueller requesting the emails were sent while former GSA Counsel Richard Beckler was infirm this past summer; Beckler has since died. Beckler, according to Langhofer, allegedly rendered his legal opinion that such requests should be filtered through the transition team general counsel after the GSA had received notice to preserve all records per the Russian collusion probe. (Nota Bene–the original Memorandum of Understanding between the GSA and Trump Transition team, like its predecessors, contemplated that archives would be deleted. The difference is that the Russian Collusion allegations were circulating even prior to the January inauguration, thus the eventual “spoliation of evidence” directives from the feds that demanded GSA to preserve all records). What further dilutes lawyer Langhofer’s suggestion that the Mueller team took advantage of Beckler’s infirmity is that with any bureaucracy, when the bureau chief or general counsel is infirm or incapacitated, there is a system in place for superior or junior officers to make decisions crucial to the maintenance of bureau business. Langhofer, parrying his own point, concedes as much by indicating that GSA deputy general counsel Lenny Lowentreitt was privy to the discussions between his boss, Beckler, and Trump transition legal counsel. As Lowentreitt was not infirm, such goes to show that while the Trump transition team is chagrined that said emails were turned over without their ability to redact (read-hide stuff), there is nothing whatsoever that was illegal of Muller’s request of said information. 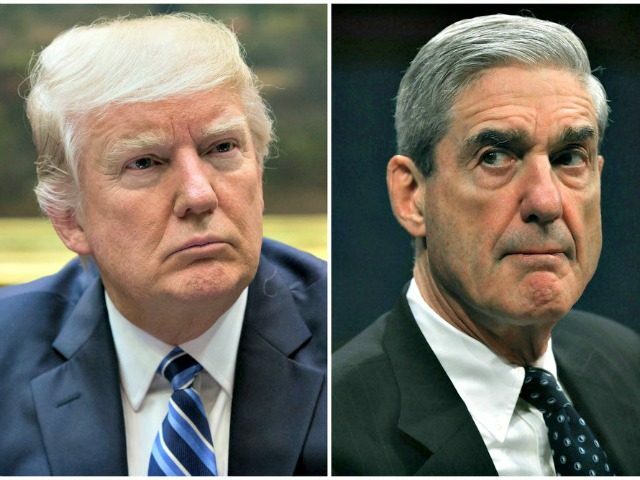 More crucially, as a criminal defense lawyer who routinely handles white-collar cases in federal court, please know that Mueller sending a letter was a courtesy that could have been declined by GSA; had the request been declined, all that Mueller would have had to do was drop a subpoena duces tecum, a fancy Latin legal phrase that simply means that the records custodians surrender every document and file in their possession, and he would have had the emails. Or, Mueller easily could have obtained a search warrant to obtain the same information. To that end, Mueller was merely being courteous by sending out a letter, essentially saying “we can do this the easy way or the hard way.” Which, of course, one would think that an administration that has consistently declared that the Russian Collusion allegations are a “big nothing burger” and that “there is no ‘there,’ there,” would be glad to open up all records to prove that such is much ado about nothing. Which is why, quite humorously, lawyer Langhofer concludes his letter by asking Congress to “create” laws that punish the turning over of such information without the express permission of the transition team. Such is humorous because those who read headlines, but who don’t read the actual allegations, will miss the point that this letter was meant to rabble the easily ‘roused, poorly read, conservative base who despise their fellow conservative Mueller so much that they will accept a Trump lawyer’s words of impropriety as Gospel–even when said lawyer cannot show where the source of his scorn, Mueller, acted unlawfully or beyond the scope of his vast prosecutorial powers.